A consultant who first described how diabetic nerve damage is caused by impaired circulation of the nerves has been awarded one of the most coveted international prizes in medicine in recognition of his outstanding contribution to the field. Hallamshire Hospital, Sheffield, and Honorary Professor of Diabetic Medicine at the University of Sheffield, is the first person in the UK to be awarded the prestigious Camillo Golgi Prize since 2003. Professor Tesfaye and a team of researchers from Sheffield Teaching Hospitals NHS Foundation Trust were the first to show the detailed structure of the peripheral nerves in people with diabetes. He then went on to lead a major European study highlighting that nerve damage in diabetes is caused not only by high blood sugar levels but also by traditional risk factors for coronary heart disease such as cigarette smoking, high blood pressure, high cholesterol and obesity. The findings of this groundbreaking study were published in the prestigious New England Journal of Medicine and have opened the potential for new treatments. A doctor whose bungling surgery left a Bridlington woman able to breath only through a tube is being allowed to return to medicine. 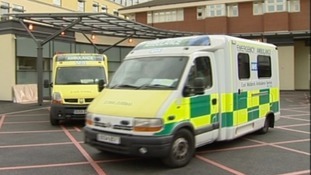 A consultation ends today on whether East Midlands ambulance service should become an NHS foundation trust. If that happends it would have more freedom from government control and look after its own finances. A West Yorkshire doctor has just returned from a charity mission to India to the poorest village in the Punjab state. Dr Vijay Bangar accompanied five other doctors from the Leeds area to help care for people in need of medical assistance. Approximately 8,000 patients were seen during the three day visit. During that time they arranged for 300 eye operations, 300 hearing aids were fitted, and 50 more serious surgical operations were organised. Some of those who visited the camp had travelled up to 100km on foot desperate to seek free medical treatment. The Slumdoctor charity raises funds throughout the year to finance their annual life-saving trips. A West Yorkshire doctor is back in the UK after a charity mission to India. He visited the Punjab where he treated eight thousand patients, distributed four hundred pairs of glasses and fitted two hundred hearing aids.